A report about London's health as a community paints a grim picture: more than 70,000 people here live in poverty, including one out of every four children. That number jumps to almost 40 per cent for Indigenous children. The news is bad whether you're young or old: kids wait up to two years for help with their mental health problems in London, and nearly half of those who rent here spend more than the recommended 30 per cent of their income on housing, the report released by the London Community Foundation (LCF) found. In the midst of an election campaign where debates have been dominated by arguments about bus rapid transit, it might be a wake-up call to the candidates. The latest Vital Signs report was released on Wednesday. It provides a research-based community check-up, focusing on key areas where issues can be discussed and solutions can be put in motion. 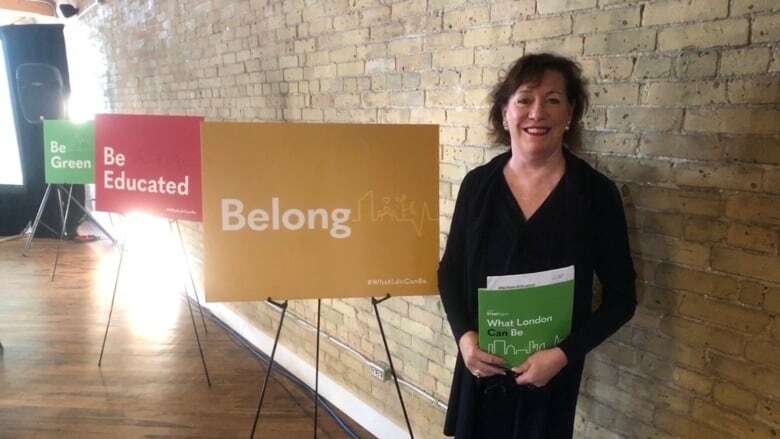 The overarching mission of Vital Signs is to promote a message of "What London can be," focusing on health, shelter, equality, employment, the environment, education and belonging. "Vital Signs was a tool that Toronto developed that said, 'Use it as a guide to make sure you're doing strategic, high-level, robust granting,' so we adopted it," said Martha Powell, LCF President and CEO. The LCF is a charitable organization that provides grants for a variety of areas, including housing, employment and arts and culture. It produces a Vital Signs report on the state of London every two years. London and Middlesex obesity rates are up 33 per cent since 2007. Children in London are waiting up to two years for mental health support. London's vacancy rate is at 1.8 per cent. Nearly half of London renters spend more than 30 per cent of their income on housing. 26.5 per cent of Indigenous households are living in inadequate housing, twice the number of non-Indigenous households. More than 70,000 Londoners are living in poverty. One in four children are living in poverty. 38.2 per cent of Indigenous children and youth are living in poverty. Women earn 21.5 per cent less than men. Only 60.5 per cent of Londoners willing and able to work are employed or looking for work. Voluntary composting is on the rise, but still below the Ontario average. London's forest cover is on the decline. The Forks of the Thames has 8 per cent forest cover, while a health region should be at least 30 per cent. London watersheds do not meet provincial water quality objectives for phosphorus. Indigenous students graduating high school is on the rise, but there is still a gap between non-Indigenous students. Only 5.6 per cent of Londoners have an education in the trades. There's a gender gap in STEM studies, where 15.6 per cent of women have a degree, compared to 33.3 per cent of men. "What we're going to do from here is in each of the issue areas that we heard about today, we're going to have conversations about them one at a time," said Powell. "We'll bring in some experts and get some really good, robust community dialogue going." Small tweak, big impact: What can London do to immediately to help the vulnerable? Those discussions will unpack the issues, examine where the community is going and seek solutions to improve problem areas. The LCF is also encouraging Londoners to share the report and engage in conversation on social media, using the hashtag #WhatLdnCanBe. "We're really excited about this," said Powell. "I think this is one of the most stunning reports that we've done in several years." To read the full report and get connected, visit the Vital Signs website.